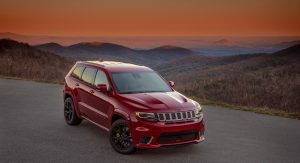 FCA Developing New Inline-Six To Replace Pentastar V6? 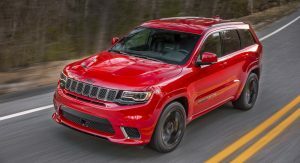 Fiat Chrysler Automobiles is allegedly working on an inline-six engine to replace the aging Pentastar V6. 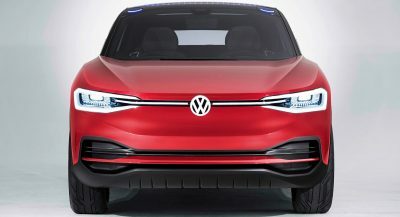 Enthusiast website Allpar claims that the inline-six will be a bespoke design rather than an existing four-cylinder with two extra cylinders. 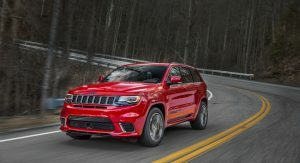 FCA engineers are also thought to be developing the engine with relatively small bores and want to restrict the inline-six’s displacement to just under 3.0-liters in order to avoid higher taxes in certain parts of the world. In all probability, this engine will be offered in a number of different configurations. 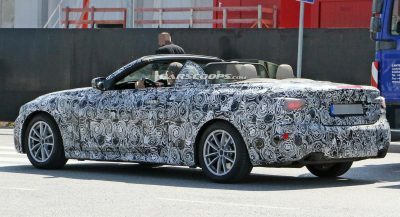 Range-topping variants will likely make use of twin-turbochargers or, perhaps, a twin-scroll turbo, for an output close to or even higher than the HEMI V8. 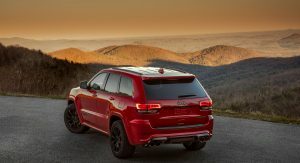 It remains unclear how far off the engine is from launching, but it possible that it could debut in a variant of the upcoming Jeep Wagoneer or the next-generation Grand Cherokee. The Dodge Charger and Challenger will also allegedly make use of this new inline-six and it could also become the default powertrain for Ram pickup trucks. It’s also possible that the more exotic companies from FCA, like Alfa Romeo and Maserati, could also use a version of the engine with parts designed by Ferrari. Note: We have contacted FCA about this report and will update this story when we hear back. Update: FCA got back to us, simply stating that it doesn’t comment on speculation. Other sites (and Allpar itself) are going nuts, thinking that all these models and the new engine are coming for 2020. Wrong. 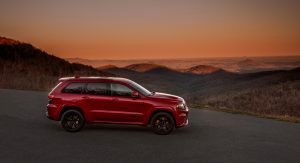 We’ve seen FCA’s own timeline that has the GC, Wagoneer and GW as 2022 models. So, calm down. The Penastar V6 is around 12 years old. Time for a new one! Hope it is reliable! actually 9 years old, first introduced for the 2011 model year. Makes sense to put significant resources into this type of engine. Pentastar has been around for a while but has been put into just about every configuration of passenger car FCA makes. The bores in an inline-6 need to be small, otherwise the engine winds up too long (or wide if transversely mounted) to fit into smaller cars. You need some space in front of the engine for crumple zones and radiator breathing room–which is why most inline-6s are sticking with 3.0L displacement. I doubt it would make the HP of the Pentastar in NA form, and if it did, certainly not the torque. But going turbocharged would surely push things towards 400 hp. The nice thing about an inline-6, apart from the innate balance, is that in only requires one cylinder head, half the cams–it’s a much simpler engine to construct. Transverse mounting seems highly unlikely. There’s really nothing FWD in the lineup that calls for more power than the Pentastar or 2.0T can provide. The article talks about it replacing the Pentastar, which is under the hood of the Pacifica. There is also the 3.2L under the hood of the Cherokee. It could be that they would go exclusively turbo-4, just like the original MOPAR minivans. Yes, it does. It does not talk about replacing it in everything, however. No transverse applications are even mentioned. We will not see an inline six in the Pacifica. No way, no how. This is good news. I don’t mind the Pentastar myself but it at least needs some upgrades like direct injection and cylinder deactivation. But I guess they’re not gonna do that as they’re coming out with this new I6. 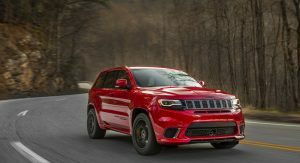 I’m really looking forward to the new Grand Cherokee and with a twin turbo I6 and maybe a new transmission (although the current ZF 8 speed is really good), it should be great. For me bad news. This is one of last multipoint injected engines from american manufacturer. I always convert MPI engines to LPG for little money (I live in Europe that’s why). Direct injected and turbo engines are too expensive for LPG. Interesting! Someone else posted on a different article that they too didn’t like D.I. and I couldn’t figure out why. Probably the same reason as you I’m guessing. smart. one of the best engines ever made in history was the old 4.0. that ran forever, I owned 2, both had well over 300000 and ran like new when i sold them. just hope these new straights are as good or close to being as good. So just because it’s from the last decade they want to change it. They should have invested all that money into updating their lineup and their current cars dated designs. To me this is another crazy bull load from FCA. (1) Cost. 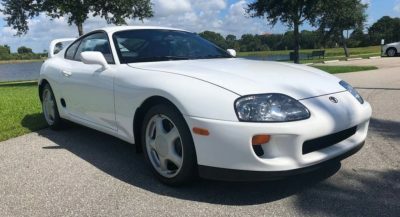 There is no doubt, even though one can’t tell it by greedy GM, that a large GTDI 4 cylinder can come much closer cost wise to the cost of a naturally-aspirated V6. We see this come to fruition in an all-new Ranger 2.3L Ecoboost that is priced right with the competitions’ V6 (although I would have preferred an all-new Ford engine with slightly larger displacement, tuned down a little). We do not see this with the new GM Silverado and Sierra 1500s where GM does not allow their new, so called base engine, in the lower trims, and is using this new I4T that is supposed to replace an NA V6, as an extra margin getter. Even an inline 6 has fewer parts, and with respect to parts of the engine, only half the parts and components. So an inline motor, although not quite as powerful or efficient in NA guise, makes much more sense when turbo charging or super charging, although it makes the packaging even harder when adding the needed intercooler. (2) Simplicity. From my experience, inline motors are easier and cheaper to maintain; more reliable as a class and more durable as a class than comparable V engines. Although this will vary from engine to engine, because each one is of its own specific design and quality, the opportunity for a superior engine for truck duty lies in an inline design. (3) Truck worthy. Like I stated above, my V6 twin turbo is super smooth. It is too smooth for a truck. It revs so freely and easily that I can’t get it to slow itself down even manually downsifting to 3rd gear on the highway; and this is when driving empty in one of the lightest half-tons on the planet at only 4190 pounds of curb weight. It just keeps revving and keeps going. That is a worthy attribute for some applications, but not a truck. I’d prefer a large 4 or medium straight six with some character and some engine braking like I once had in a 1989 F150 with a 4.9L straight six that was wonderful for its time, but lacking nowadays for FE.